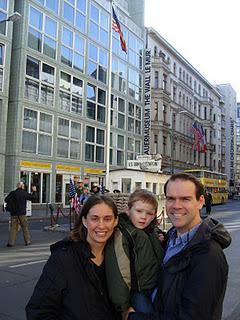 We have lived in Germany over three years and finally made a trip to Berlin. 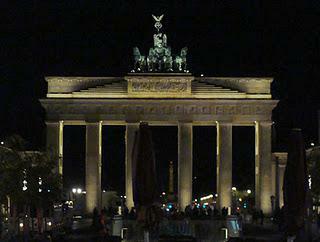 I have to say, I liked Berlin a lot more than I thought I would. 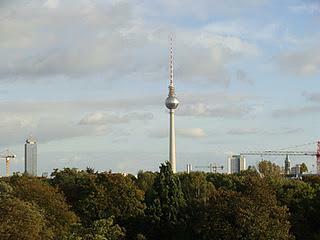 Berlin is the capital of Germany and Germany's largest city. 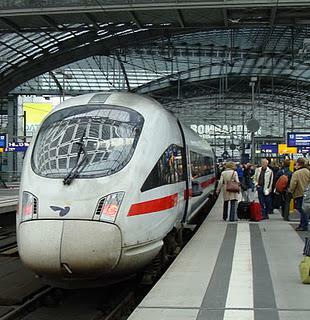 We took an ICE train to Berlin and it took about 5 hours. 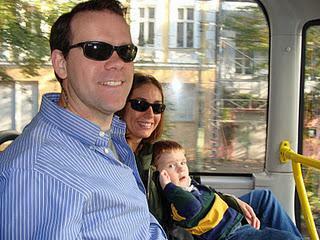 This was our second train trip to take. Our first was to Paris last Thanksgiving. If you're not traveling very far, the train is a great way to get there. It was nice because we could take turns walking Blue Rock around. There's a cafe on board where we bought coffee and actually ate dinner on our way back. Also, everyone could enjoy looking at the scenery outside the windows and we didn't have to worry about getting stuck in traffic. My parents were in town and having them travel with us, made things so much easier. 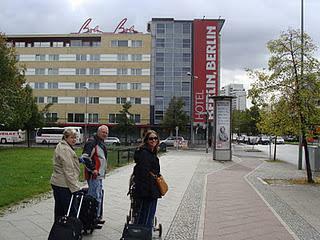 We stayed at a hotel called Hotel Berlin, Berlin. 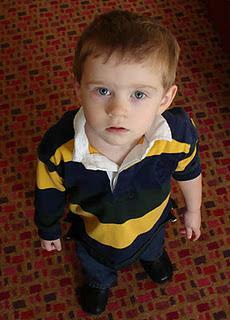 At first they put my parents in the modern side of the hotel and us in the older side. Once my husband and I saw our room we requested to change rooms. They didn't have any rooms available in the modern side with a couch bed, but that was fine with us. The older room smelt like old cigaret smoke and I'm allergic to cigarets so that was not going to work. Blue Rock could sleep in our bed for two nights. Overall, we really liked the hotel. The bus line was very close to the hotel, the breakfast was top of the line, and the bed was comfortable. It's a 4 star hotel, which is more like a 3 star in the U.S.
About a year ago, our neighbor brought us a piece of the Berlin Wall and a book about it from when he and his family went. They go about once a year. 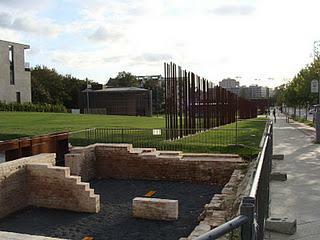 I never knew the full history of the Berlin Wall and how horrible it was. 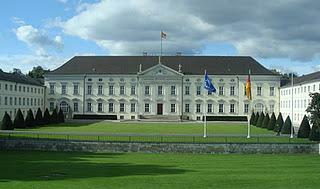 It divided families and they built it to keep people in East Berlin from getting out so they could keep them under communist control. We visited the remaining part of the Berlin Wall and went in the museum and saw videos of people jumping out windows. Saw old news stories and pictures. Our hearts sunk and went out to those people who lived on the wrong side of town. 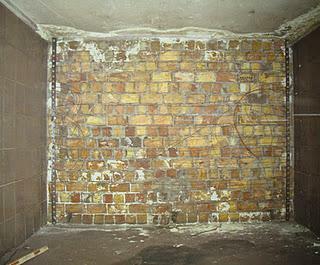 When the wall went up you were unable to communicate with those on the other side. It was really neat to see such a recent historical place. 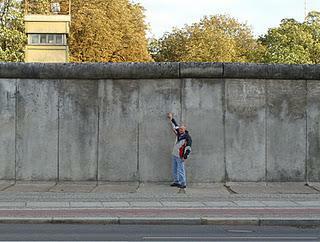 The Berlin Wall went down in November of 1989. 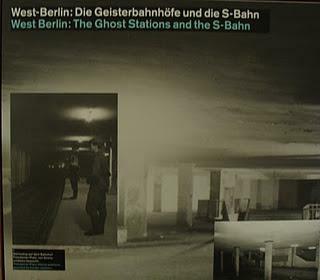 Some of the subway lines we road on were ghost lines, meaning they stopped running them, during the Cold War because they connected to East to the West. 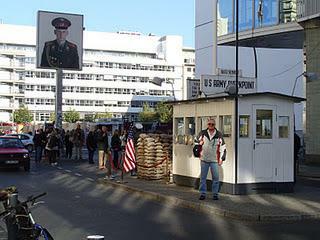 We went to Checkpoint Charlie, the best-known crossing point of the Berlin Wall between East Berlin and West Berlin during the Cold War. 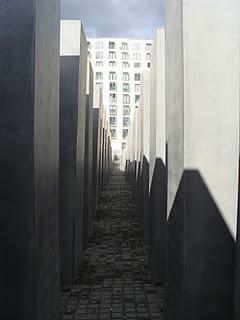 We also went to a Jewish Memorial. The museum was not recommended for people under 14 so we didn't go inside the museum. 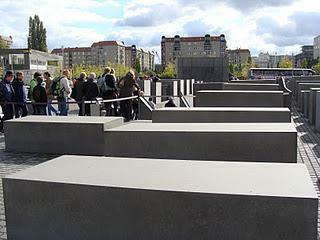 But the memorial was very impressive. Berlin is a very clean city, much like most of Germany. We enjoyed delicious food, saw most of the city by either foot, riding on the second level of the double-decker bus, and subway. I would like to go back one day and I don't say that about every place we've traveled. 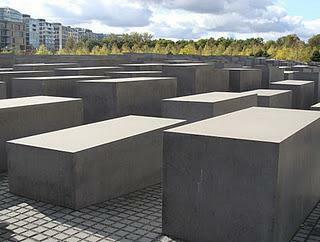 If Berlin is on your list of maybes, I suggest going. I was pleasantly surprised by how much I liked it. The only problem we encountered was on our way home. There was a terrorist attack at the train station. Our train was delayed a little over 2 hours. There was a potential arson attack. "Federal police said they found several bottles of flammable liquid that could have been used to carry out an arson attack. The material was discovered some 200 meters (about 650 feet) from the main station building, along with what they called "incendiary objects." According to this article. Thankfully they found it and everyone was safe that day.